Download the guide “NYC par BZH” to discover BZH New York favorite places! Explore the Big Apple neighborhood by neighborhood and discover our favorite bars, restaurants, services and activities across the city. Whether you’re planning your first trip to the City or consider yourself a lifelong New Yorker, this is a guide you’ll want to have in your pocket. Fill the form to receive a download link by e-mail to get your guide (in french)! 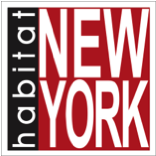 Find an housing with New York Habitat: New York Habitat has more than 5,000 furnished New York apartments and accommodations in Manhattan, Brooklyn and Queens. ... enjoy once you hit New York City! Visit New York Off Road by foot with a certified NYC guide to improve your experience. Visit New York City by boat with S-Cruise by Smarboat: S-Cruise offers private cruises on the elegant and eco-friendly Smartboat 23 for a unique New York City experience!